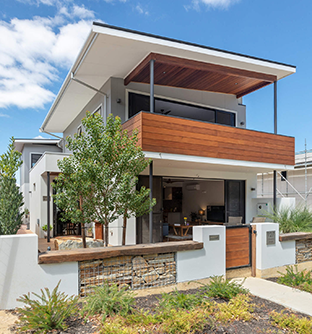 We are a leading eco-sustainable building company dedicated to creating affordable custom designed homes in Perth. We believe that everyone can afford their dream home, reduce their impact on our changing environment and live comfortably all year round. Contact us today to find out we can help you realise your vision. We worked closely with our client to build this beautiful 2 storey home that reflected not only their taste and style but also maintained the principles of eco-sustainable design and the comfort that it brings. This iconic high tech multiple occupancy eco-home is so much more than meets the eye. 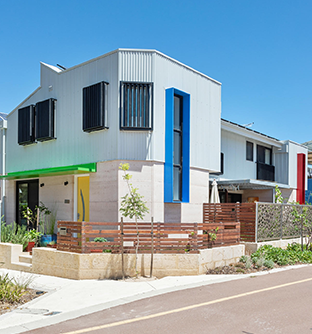 2 appartments on a single lot, share the sustainable design and state of the art energy monitoring system that make this one of the most energy efficient homes in Australia. The beautiful Leon House designed luxury home is the epitome of affluent living nestled in the heart of East Fremantle. With meticulous attention to detail in all elements of the construction process and Leon's distinctive design showcased throughout the home this abode is truly magnificent. With rising global temperatures and more extreme weather patterns around the world the challenge for us all is to adapt our living spaces to handle the changing climate. Here in Western Australia hotter summers and colder winter months lead to increased energy bills in order to maintain liveable home environments. Through building homes based around our 7 steps to sustainability Ecovision can create a space that works with the environment to provide a comfortable place to live all year round. 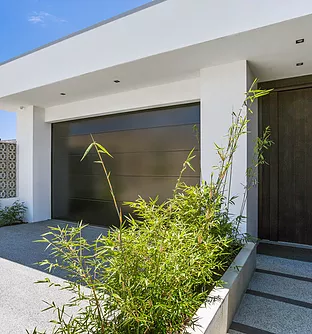 The growth of the green technology market has seen huge reductions in the cost of materials and products that can assist your new home becoming vastly more energy efficient and save you money in the long run. With 50 years of experience in a multitude of construction methods Ecovision has the capacity to not only build eco-sustainably but cost effectively too. Our deep understanding of the latest building technologies and focus on custom design allows us to build your home to your budget while achieving excellent energy ratings and minimal carbon footprint. Thanks for your help and patience getting the design just right for my needs. You were a great source of ideas and I really felt like we were a team getting the plans ready. I love my home and could not have had a better team , Ecovisions went that extra mile for me and they honoured their commitment to me by building a beautiful sustainable home..
We would like to thank the professional building and project management team for our excellent extension, which we love. We would have no hesitation in recommending ECOVISION to other customers looking at renovating/building a house.